The energy issue is one of the main variables of debate and concern in the capitalist system. It goes back to a problem related to human survival itself in different historical moments. The capitalist in particular developed with a strong search of alternative energy sources, especially oil in the twentieth century, reflecting a historical process of growth never experienced before. The limits of this growth were starting to be debated in the 1960s and 1970s, because of the expected shortage of non-renewable resources and the inability to eliminate this lack of energy technology. The debate surrounding alternative energy sources such as hydroelectric and ethanol fuel in Brazil matured during this time, but it still remained limited by economic alternatives to replace oil for maintaining the capitalist system. The reality of exclusion and environmental problems called this model of development into question and this is also reflected in the discussion of the energy mix. It is understood that economic development should promote structural and also qualitative change in society, however, the capitalist development model, based on the constant expansion of capital, has shown that many countries continue to on the margin of a fair distribution of wealth, despite their growing gross domestic products (GDP). According to Rampazzo (2002, p. 159) “It is necessary to rethink the economic organization of society, the qualitative and quantitative use it makes of its natural resources and the consequences of its economic agents.” A systemic, multidisciplinary approach to minimizing the problems of poverty, particularly in developing countries and the least developed countries, it is imperative in the search for harmonic solutions for the trade-off between growth and environment. It is understood that there is a direct relationship between GDP growth and energy consumption, as pointed out by Furtado (2012). From primitive to technological man, energy consumption in its various forms and at its different intensities is related to the evolution of humanity, given their importance as an input in industrial transformation processes or the generation of services. The improvement of social relations, the development of trade, technological progress and economic and geographic expansion of certain countries there has been ownership and exploration of some form of energy. As an example, Reis et al. (2012) highlights the case of oil and coal, which were known already in ancient times, and have been commercially exploited for the first time in the United States (Pennsylvania), only in the second half of the nineteenth century. When analyzing the industrial societies, it can be observed that they have opted for an energy-intensive trajectory. According to Furtado (2003) the use of technological innovations was intensive in terms of energy per capita. This model was followed by many developing countries, but with results below expectations. The particularities of each country, its historical trajectory, and therefore its economic organization, political and social aspects lead to different perspectives on the relationship between energy and development, given that the production of wealth is not limited to material production. Sustainable development requires sustainable growth and for under-development countries the biggest challenge is to mitigate the problem of poverty and misery, while in developing countries it is the quest to harmonize economic growth with environmental and social demands. Note that in response to the first oil crisis, industrial societies began to consider more seriously the substitution of oil with other energy sources (REIS et. Al., 2012) and technological solutions in energy efficiency as a way to slow down the lack of supply (FURTADO, 2003). According to the same author, this behavior is observed from 1973 with the dissemination of technologies which save energy resources as opposed to the growth paradigm linked to the intensive use of energy, especially non-renewable, which were cheap and affordable. “Until the end of the 1960s, the world did not know the word energy rarity” (REIS et al, 2012:.. P. 22). The progress in the studies related to the energy issue indicates that the purely technical aspects (energy demand and supply) are simplistic and do not indicate solutions to the problem of sustainable growth and development. “The importance of energy supply and demand for the development of the economic system is a result of various interactions between the different economic dimensions that involve the energy sector” (PINTO JUNIOR, 2007, p.22). Table 1 (below) summarizes the array of dimensions proposed by Pinto et al. (2007) and the possible interactions made possible by the impact of the activities of the energy sector. Natural How is sustainable development achieved when it comes to green house gas emission control and climate change? Social How does the energy sector affect regional development and what effects does public policy cause in local populations in terms of: labour, income, health, education, housing and security, inequalities, among others that have not been pointed out yet. Economic The interactions between regional growth and the macroeconomic, microeconomic, technological and international political aspects. Institutional Political orientation, capacity and governmental as well as societal efforts concerning the outreach of sustainable development. It must be considered that energy policy decisions are long-term decisions, and thus the considered variables should cover the broadest range of options that express the best sustainable cost-benefit relation. It is understood that national politics are highly influenced by the choices within the energy options available to the economy. For planning and decision making to be closest to reality it is necessary to quantify and arrange all the relations between energy resources with their respective energy chains. The energy matrix seeks to represent those relations in the long term. The term energy matrix articulates the quantity of available resources for the energy production in a given region. For Reis et al. (2012, p.314) “[…] the energy matrix is a set of periodical energy balances, constructed for a future period, considering different evolution scenarios of the factors that can affect the matrix”. From this time onwards a great part of the planning had an emphasis on planning activities in the Brazilian energy sector. As a consequence of the effects of the supply crisis lots of countries came to reexamine their energy sources and seeked to weigh out the risks associated to the uncertainties of the international scenario. In the case of Brazil it can be concluded that there was no planning of or study about renewable sources whatsoever. However, it was after the supply crisis and with the possibility of interrupting the expansionist circle of the economy, that authorities like Eletrobras started to see renewable sources as an alternative response to the crisis (PEREIRA ET. AL 2005). The measure taken by the Brazilian government in order to tackle the high oil prices on the international market was to intensify the process of import substitution and increase of exports. According to Furtado (2003) the most viable way out was incentivizing and expanding the industrial productive sectors, that is to say, those with high energy consumption per unit of output aggregate value such as the sector intermediate goods. Such discussion, characterized by the use of local natural resources like water, needed financing for ambitious industrial projects that ultimately resulted in external debt all the way into the decade of the 1980s. It can be seen that the choice of import substitution did not only bring along economic implications, but also forced the country to revise its energy options and raise its autonomy in terms of oil imports. So it can be pointed out, that the economic trajectory of the country is directly linked to its choices for the best use of its natural resources, especially water; its exploration of energy alternatives; as well as the quest for greater independence for the use of oil thanks to the maturing of the extraction technologies (FURTADO, 2003). Differently from what happened in the decade of 1973, currently the Brazilian government does make incentive efforts in the sense of promoting the diversification and the exploration of alternative forms of energy, in order to widen its capacity of offers. For instance, the country is internationally renowned for its successful implementation of the use of sugarcane in the transport sector and the supply of power plants (with sugarcane bagasse) e recently, the discovery of a layer of pre-salt, puts the Brazilian economy in a comfortable position amongst the big suppliers of oil in the long run. Brazil’s economic relations and resulting political relations with external markets guarantee its finance and attraction of foreign capital, as far as the availability of energy supplies is a competitive characteristic compared to competing countries in the race for productive capital. It must be considered that, notwithstanding the positive indicators of economic development, the existence of market failures, insufficiency of investments in the exploration of alternative energies and important regulatory frames that are not defined in the political sphere can be observed. There is a side of the country of opportunities that should envisage and find adequate solutions to resolve the pressing problems of its development options. As has been pointed out above, the history of Brazilian economic growth has been strongly linked to its choices in the use of energy. The choices of yesterday influence in today’s energy policies and, consequently, will influence the energy planning in the years to come. Considering options of energy policy from a systemic conception, developing economic, environmental, technological, labor and equally environmental relations is however a way without return. The decision on the energy mix does not depend merely on the availability of natural resources or development potential of a certain source of energy, but also on decisions arising from social and political relations. Brazil has a significant availability of energy sources, with a mix composed of 47.5% (BEN, 2011) of renewable energy while globally this percentage is only 13%. Data from BEN’s 2011 edition, with the base year 2010, shows that non-renewable energy makes up 52.5% of the total production of primary energy. It should be pointed out that from the total of the renewable energies produced in 2010, the oil production was 42%, natural gas 9%, steam-coal 0.9%, and uranium 0.7%. The oil production in 2010 reached 119,595 (103 m3), an increase of 5% compared to 2009 when production was 113,520 (103 m3) (BEN, 2011 p. 40). According to Reis et al. (2011) considering as a reference the continent of South America, Brazil has almost five million km2 in sedimentary basins. In the Americas this is the second biggest confirmed oil reserve. In 2010 Opep registered 12.85 billion barrels in confirmed reserves. Figure 1 shows the evolution of the Brazilian production of sugarcane. It is important to note that while derivatives of sugarcane grew 87% between 2001-2008, hydroelectricity decreased 7%. According to Reis et al. (2011, p. 276) “the sugarcane alcohol sector contributed significantly to the diversification of the Brazilian energy mix.” In 2010, data from BEN (2011) indicates an 11.6% growth in the national sugar production (37.7 million tons) and a growth of 7.1% in ethanol production. The document Brasil Sustentável (Sustainable Brazil): perspectives of the oil, ethanol and gas markets (2011) published by a partnership between the Getúlio Vargas Foundation and the consultancy Ernst & Young Terco, calls attention to the issue to the prices practices in those markets. According to data from the study, Petrobrás’ price politics impacts the ethanol market substantially. It can be considered as an advantage that Brazil is still a closed market and dominates the production of ethanol, which lets the producers choose freely if they want to produce sugar or prioritize the external ethanol market. “The degree of importance that ethanol has as a source of energy in Brazil is unparalleled in any country at the moment, being the result of a historic process.” (FGV Ernst & Young, 2011) This refers to Proálcool, the National Ethanol Program (Programa Nacional do Álcool) that was established in 1975 during the legislation of then president Ernesto Geisel with the goal of replacing gasoline with ethanol in fuel vehicles. Also, the characteristics of the market such as the relatively high price for oil and its derivatives on the domestic market, technical factors like the national physics and technological potential for the sugarcane production, as well as the agro-industrial base that is characteristic for the country, in a way guarantee Brazil the holding of a comfortable standing-out position in the production and the use of this energy source. In 1976 the Ministry of Mines and Energy presented for the first time a document that was to be known as the National Energy Balance (Balanço Energético Nacional – BEN), which contains the registry of primary energy consumption of the last ten years. Thirty five years after the first publication, the current balance shows the energy flows of primary and secondary energies (REIS, 2011). Tables 2 and 3 were customized on the basis of consolidated data from the BEN (2011). Tables 2 and 3 render a summary of the patterns of the main derivatives of sugarcane: anhydrous alcohol (as an additive to gasoline) and hydrated alcohol. Both are used in the transport sector, basically for road transport, and cane bagasse is burnt by the refineries themselves for energy production. Source: the authors, adapted from BEN (2011, p.64). Fonte: Autores, adaptado de BEN (2011, p.64). Hydrated alcohol has been used in Brazil since 1979, when the first ethanol cars were released in the second phase of the National Ethanol Program Proálcool. The program was an initiative among the Brazilian government and the car industry with the goal of increasing the demand for ethanol as a fuel. Currently, hydrated alcohol competes with gasoline due to price decreases in the sector, the fluctuation of the price for the gallon of oil on the international market and the tax differences between gasoline and ethanol. It can be said that from 2003 on, with the spread of biofuel and flex cars, the interest of consumers for hydrated alcohol rose. The more interesting costs and the possibility of using ethanol as well as gasoline in any proportion, leveraged sales on those kinds of vehicles, as they are already market leaders for light vehicles (EMBRAPA, 2012). Paolielo (2006, p.22) observed that there is a significant energy exploitation when burning sugarcane bagasse in biolers that are more frequently used by power plants and other energy sectors for meeting their own energy requirements. That author says that some power plants make their excess available to energy supply companies. Table 4 shows the summary of the production and final consumption of sugarcane bagasse, pointing out the increase of the energy sector’s share in the final consumption of sugarcane bagasse. According to Reis (2011) the use of water as an energy resource intensified in the 17th century in Europe because of the use of windmills that were used for obtaining mechanical energy necessary for pumping water and grinding grains among other uses. Brazil has a significant generation capacity for hydroelectricity compared to other countries with water resources. According to Anell (2011) the ten biggest hydroelectric power plants currently produce 28.9% of the Brazilian installed capacity that reach an added 32,9 thousand Megawatts (MW) of power supply. The overall capacity of the country is 114.07 thousand MW, including hydro-, thermo-, wind-, solar- and wave-energy power plants. The Brazilian Electricity Regulatory Agency’s (ANEEL) Generation Information Databank’s (BIG) point out that the total capacity of these power plants amounts to 42.7% of the 77.3 thousand MW of only the hydroelectric generation potential. Figure 3 shows the five countries with the biggest installed hydroelectric capacity (GW) between 2004 and 2008. Brazil appears on the third place of the ranking with an approximate capacity of 77.5 GW in 2008, which is 3.8% of the overall global installed capacity (Statistical Agrienergy Yearbook, 2011). Note: Data from U.S. Energy Information Administration (EIA). Data for Brazil fromNational Energy Balance (BEN). Even though the indicators point towards a tendency to forming a hydrothemal park in Brazil, data shows that the hydraulic potential of the country is still very significant. However, the country does face some obstacles in the exploration of its hydraulic potential. In a document presented during the 2011 Brazil Energy Frontier in August of that year, the “economically viable potential of hyrdaulic energy is located far from the fright centers” as it is concentrated in the north (66%) and northeast (69%). Figure 4 shows the electric energy generation capacity in Brazil between 2006-10 by type of power plant. Note: For hydroelectric power plants the Brazilian part of Itaipu is considered (6,300 MW until 2006, 7,000 MW from 2007). Table 5 synthesizes some data about the development of the energy sector in the year 2010 with selected data published in the BEN 2011. A general overview of the sector shows a positive scenario due to good use of the available infrastructure and the abundance of water resources. Notes: (1) Until 2007 the share was on average 14%, while in 2008 it was 13.4% and 13.7 in 2009. (2) A negative variation of 8.6% compared to 2009. From 2001-2008 it did not pass 14% of the total renewable hydro and electric supply. (3) The country gains autonomy in the external dependence on electricity. In 2001 it was 10.3% of the total external energy dependency compared to 6.4% in 2010. (4) In the final consumption per energy source the variation is 16.3% compared to 2009. (5) Adding up imports that are essentially from renewable origin. The maintenance of this model, however will depend on the finalization of the regulatory frames of the electrical energy sector, as well as on whether there will be a referral of the discourse around the sustainability of the model. It can be pointed out that the government has been incentivizing the operation of smaller and local plants with the goal of reducing cost and minimizing environmental impact (REIS, 2011). ANEEL. Agência Nacional de Energia Elétrica. Dez maiores hidrelétricas respondem por 28,9% da capacidade instalada brasileira, 2011. Disponível em<http://www.aneel.gov.br/aplicacoes/noticias/Output_Noticias.cfm?Identidade=3948&id_area= > Acesso em: 26 de março de 2012. 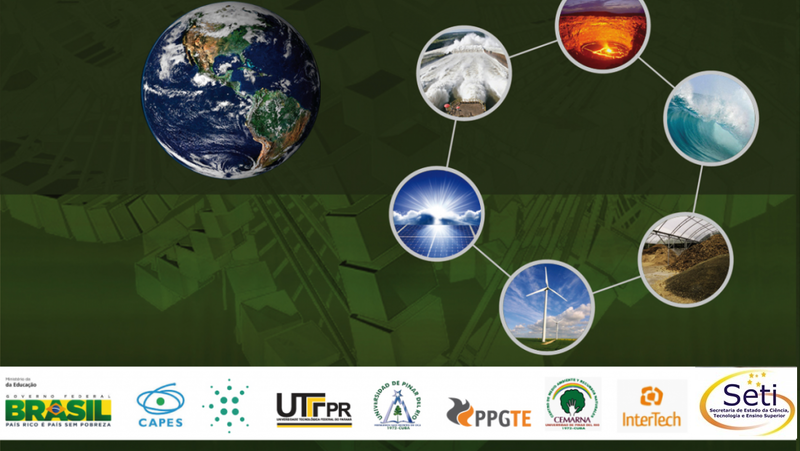 Brazil Energy Frontiers. Notas de apresentação em seminário, 2011. Disponível em: <http://www.brazilenergyfrontiers.com/&gt;. Acessado em 26 de março de 2012. EMBRAPA. Agência de Informação Embrapa. Hidratado, 2012. Disponível em: <http://www.agencia.cnptia.embrapa.br/gestor/cana-de-acucar/arvore/&#8230;.html. Acesso em: 12 de junho de 2012. FGV. Fundação Getúlio Vargas; Ernest & Young Terco. Brasil sustentável: perspectivas dos mercados de petróleo, etanol e gás, 2011. Disponível em: <http://www.ey.com/…A1s.pdf>. Acesso em: 23 de fevreiro de 2012. FURTADO, A. Brasil em Desenvolvimento. Crise energética e trajetória de desenvolvimento tecnológico, 2003. Disponível em: <http://www.ie.ufrj.br/desenvolvimento/pdfs/crise_energetica_..pdf>. Acesso em: 09 de março de 2012. PEREIRA, A., MARRECO, J; ALMEIDA, M; CORREA NETO, V. Aspectos fundamentais de planejamento energético. Rio de Janeiro, 2005. 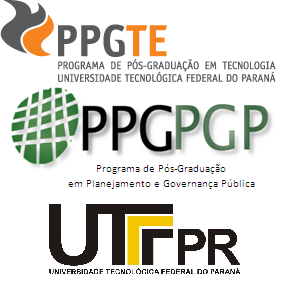 Disponível em <http://www.sudene.gov.br/conteudo/…/PE_Aspectos_Fundamentais.pdf‎&gt;. Acceso em: 12 de março de 2012. Statistical Agrienergy Yearbook / Anuário Estatístico da Agroeenergia Elétrica. Documento de trabalho, 2010. Disponível em:<http://www.epe.gov.br/Paginas/default.aspx&gt;. Acesso em: 03 de março de 2012. Statistical Agrienergy Yearbook / Anuário Estatístico de Energia Elétrica. Documento de trabalho, 2011. Disponível em: <http://www.epe.gov.br/AnuarioEstatisticodeEnergiaEletrica/&#8230;.aspx>. Aesso em: 20 de março de 2012. UNCTAD. Relatório da Conferência da ONU para Comércio e Desenvolvimento.Ministério do Desenvolvimento, Indústria e Comércio Exterior, 2011 Disponível em< http://www.mdic.gov.br/sitio/interna/interna.php?area=5&menu=531&gt;. Acesso em: 06 de março de 2012.